First of all, I apologize that this is so tardy. I was feeling under the weather and when I get that way, there's no way I can do a good review on makeup. This is my playtime and I want to enjoy it. It is with sadness that I post this review, as I have reached the end of my blogging relationship with Starlooks. No, this isn't due to anything bad. It is just the end of my journey. Time to pass on the reviewing crown to another blogger who has yet to discover it's beauty. I have been happy with Starlooks, for the most part. The makeup has been beautiful and quality. The eye shadows highly pigmented, the lipsticks in nice colors, and the liners with staying power and ease of application. I also liked the idea behind energy coming from the mini crystals we get in our box every month. It is a nice ethereal touch and they're fun to collect to make crafts with. However, as much as I enjoyed it, I really would have liked things to be contoured to each person's skin tone. I know that's hard to do when one box is meant for others, which is why I like the beauty boxes that quiz you on what you like, what color eyes you have and what skin tone. I would have also liked to see more of a variety in makeup items, such as bb cream, foundation, mascara, blush, lipsticks (There was honestly 1 lipstick I liked, the rest were just not my colors) What Starlooks didn't fall short on were the eye shadows and eyeliner. More of a variety would have been ideal, but I made the most out of what I was given and did discover many awesome products along the way. That is how it has been up until the box I am about to show now. I really enjoyed this one more than any of the rest. Brown Eye liner- Very cream as well. Can also be used as an all over shadow base. The Brush is incredibly soft and shed-less. As always, I love the sleek black design of that and the liners. Their lipsticks are packaged just as nice too. Here is the green diamondliner outlined by the brown liner. The application is VERY smooth and creamy. I love the contrast of the two colors together. This is a very light kind of mossy green. Super pretty and earthy. On the description card, Starlooks says to combine the two to get a pretty olive color and so I did. I also smudged the two on the right. 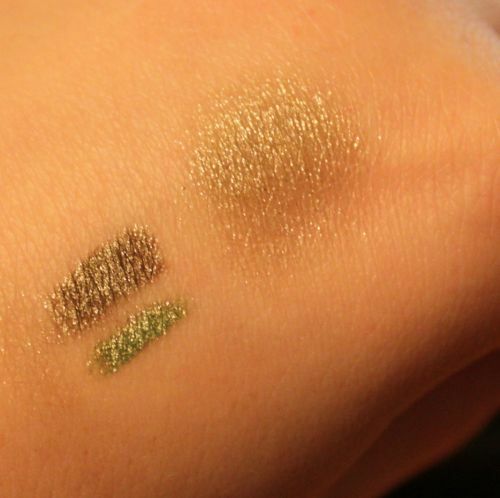 Look how it blends into a pretty sparkly olive. This color would make an incredible smokey eye. 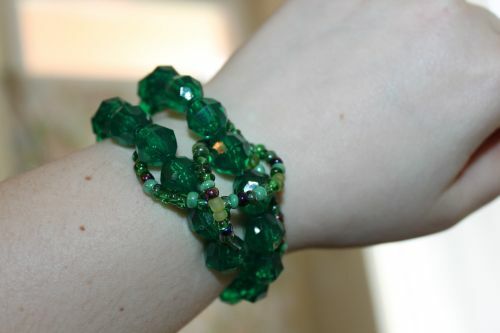 The bracelet is pretty. I like the color a lot, but it's too clunky for my taste. I will probably use the beads for a craft project. And my most favorite item in the box, the blush. A gorgeous light coral color with a touch of 'gold pearlescence'. I don't really detect the gold, so it is extremely subtle, but I do see the pearlescence. This is showing two layers to show how vibrant it can get. One layer is a flushed with peach look. I love it so much. The first box with something very different and alas, it's my last to review. Though, if budget allows, I will be picking up the subscription. Just because I love surprises, let alone makeup surprises, and this is probably the cheapest one that I have encountered. $15 is an excellent price, but it's also gamble money. I'm not sure I can do that and do I really need more makeup? No. Do I want it? Yes! Overall, this subscription went from somewhat lackluster, to major lust in the last box. There was one other box I dream about too. It came out right before I started reviewing, and that was the September box. It had a gorgeous pastel ethereal colored eye palette that I can't seem to stop thinking about. So all in all, I think Starlooks Starbox is unique and quite a gamble in what you get, but sometimes you can hit the JACK POT. As I have raved so many times before, the boxing and design has been eye candy. I love their presentation. I will miss those boxes alone! I consider myself lucky to have had this opportunity and discovered cosmetic loves that I may have never had. Thanks for working with me Starlooks, and Good luck in your business venture! These colors really are gorgeous! 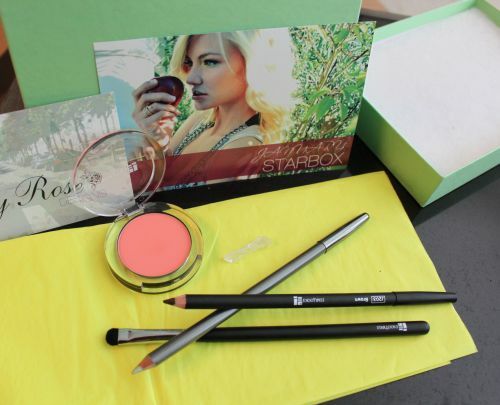 Another one who has not heard of Starlooks but the subscription box looks interesting and I love the colors. That blush color is fantastic on you! I love the contents of this box! I might try it out. I love all of that stuff! Sign me up! I had a subscription service and also did not like all the colors. I mixed the lipsticks to create shades I liked, it is always fun to experiment! I am trying this service out next. I thought this was a post about Starbucks until I looked closer and see it's StarLOOKS :) That coral blush is really pretty! Thanks for this review, I was thinking of getting a box but wasn't too sure, I think I'll have to now! I love Starlooks. This box was wonderful. I love that blush. I never heard of this subscription before, but I'd like to learn more. <3 starlooks! I personally am a huge fan of the diamondline! and I know what you mean about being sick and reviewing make up, It is play time! I haven't heard about Starlooks! It looks like it has some great products. Thanks for sharing! I love those colors! 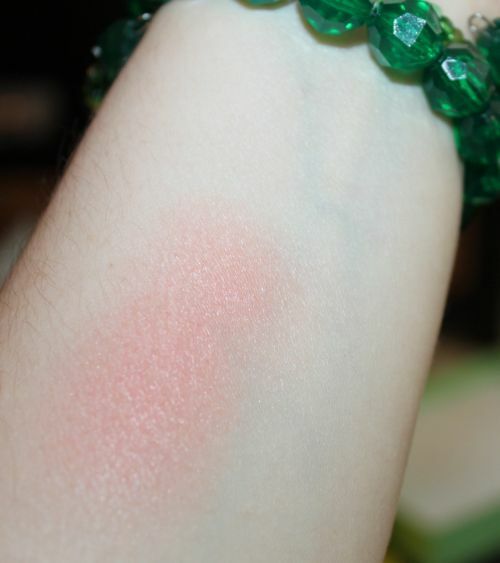 Especially the blush, which I'm usually not a fan of. 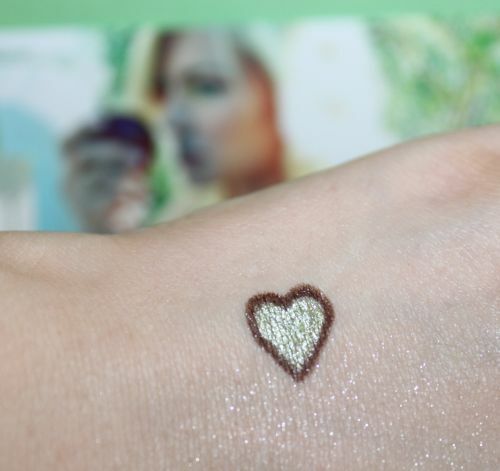 Love your swatches & review!